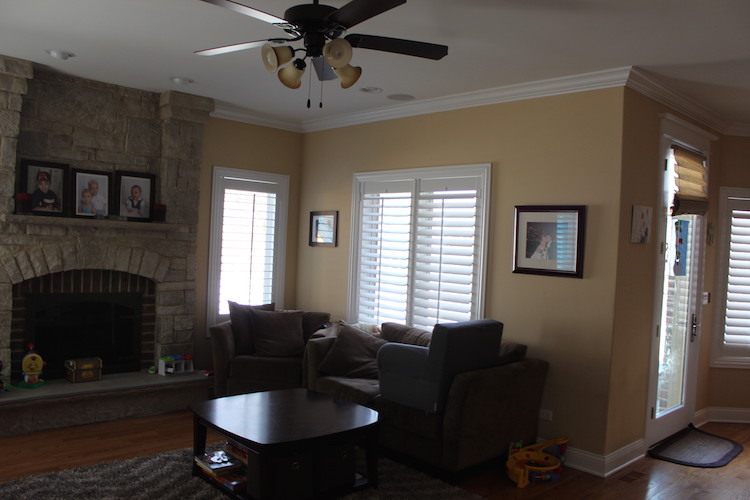 I am delighted to share some before & after photos of a client’s family room! 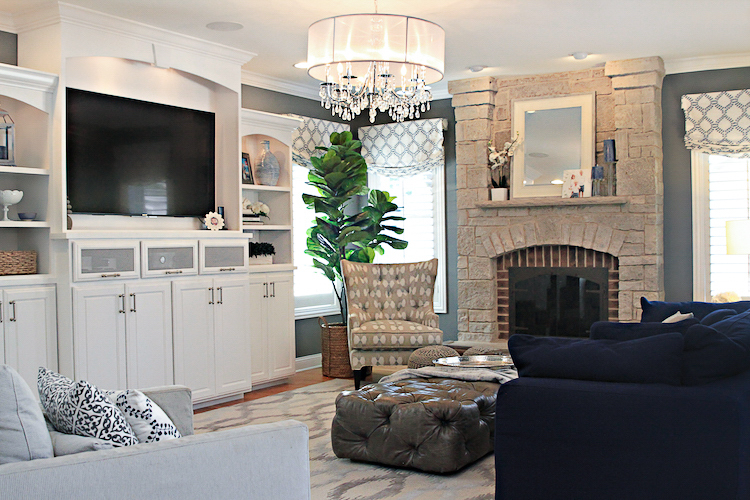 This family room was designed for a busy family of 5. 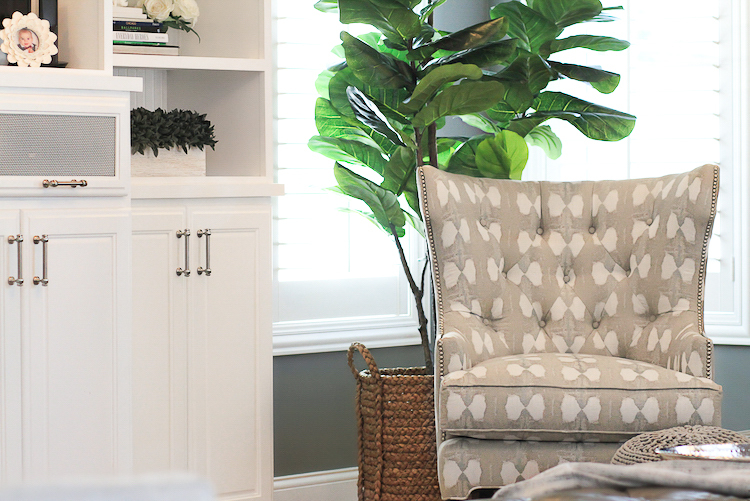 Comfortable seating, built-in cabinets with storage and kid friendly pieces and fabrics were all a must. Let’s start with a few BEFORE pictures…. 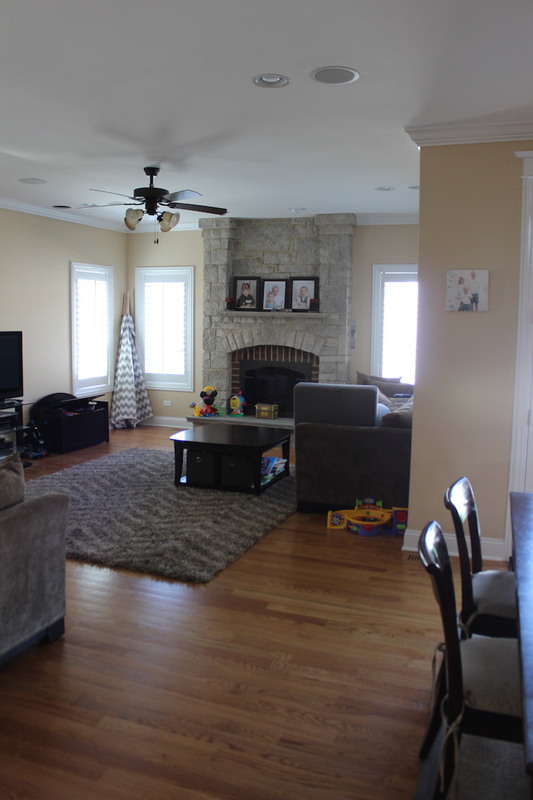 I wanted the space to feel family friendly but with a calming, serene, yet fun vibe. 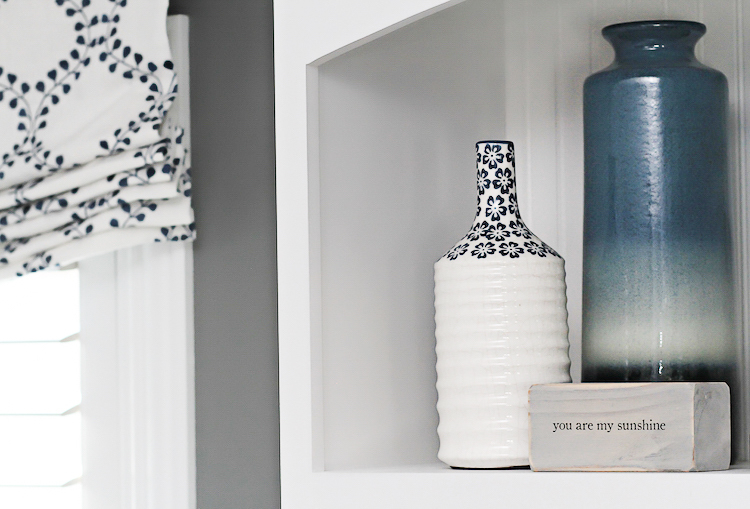 Choosing a neutral palette and adding pops of blue and some patterns completed the space. 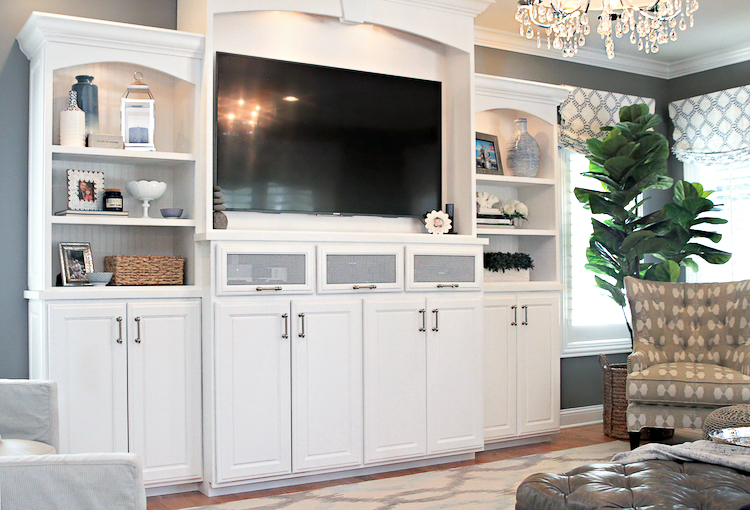 These built-in cabinets made a HUGE difference to the entire room. If you are looking to invest in one thing long term for your space, I recommend custom built-in cabinets. 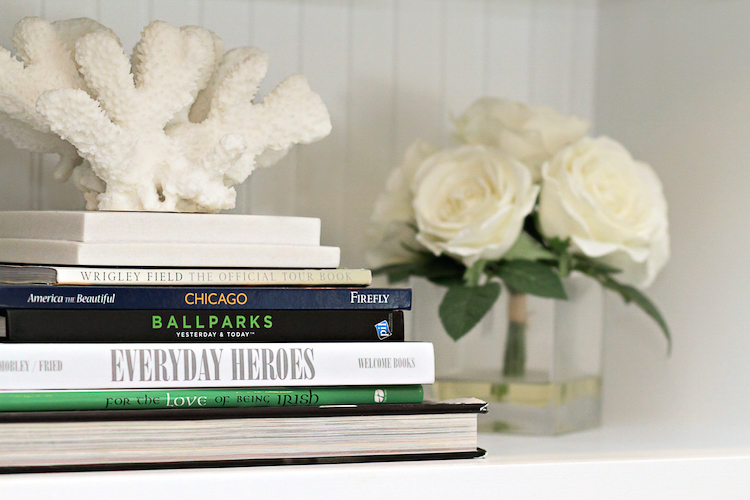 They add style, personality and storage! 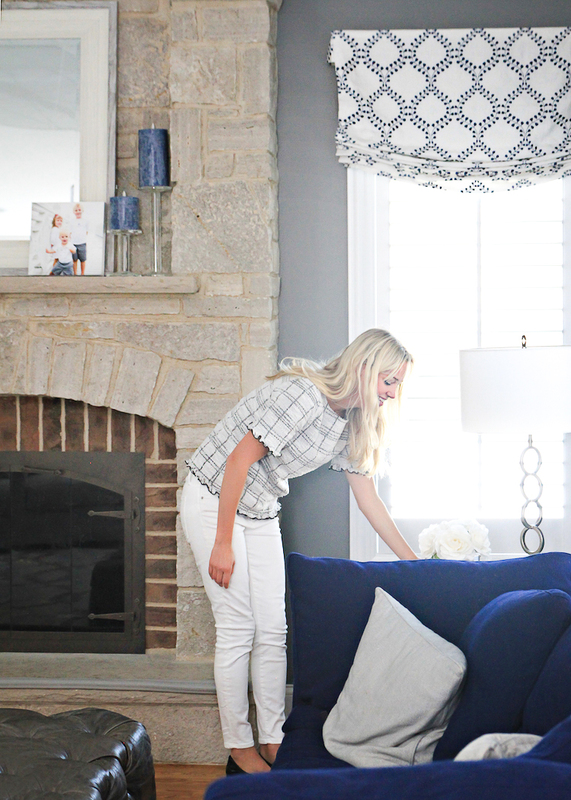 My client’s built ins house tons of toys in the closed cabinets and shelving which I had a blast styling with vases, candles, baskets and more. We used beadboard for the back which added a little texture too. 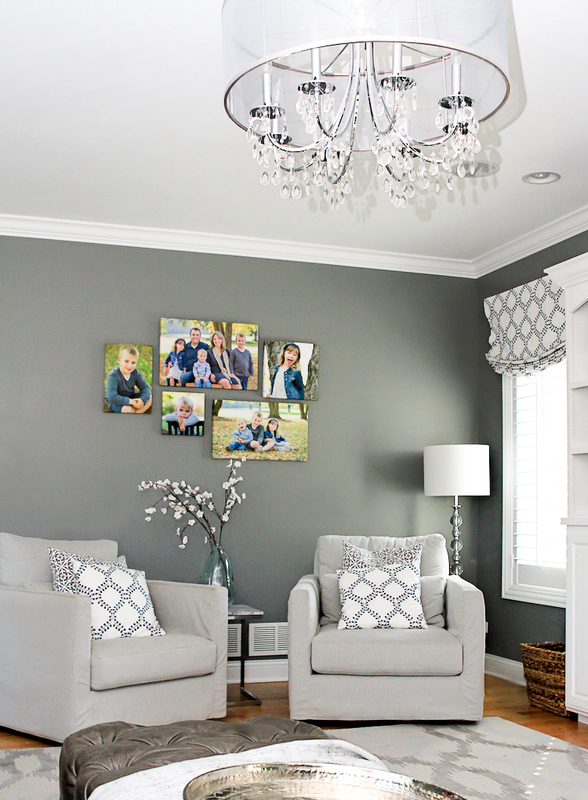 We originally planned to have one large family photo on the wall behind the swivel chairs but I love how this gallery wall turned out too. 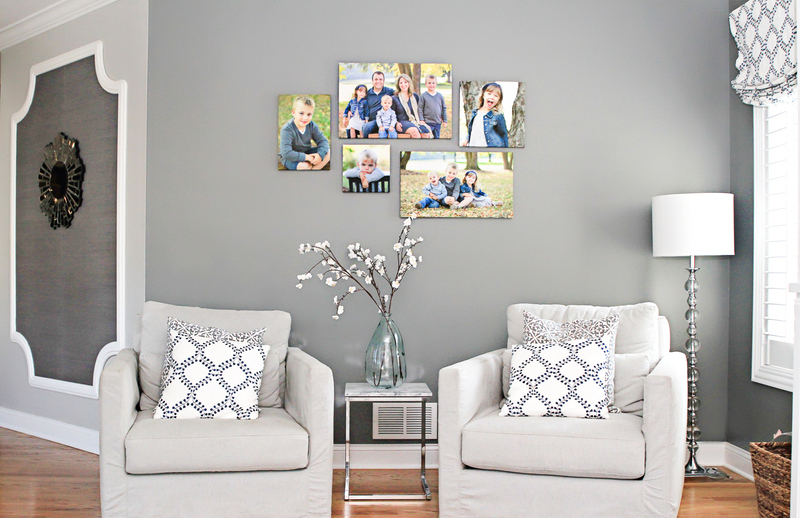 Adding lots of family photos to a family room is a must! Little secret? The wallpaper was not installed directly to the wall. We created a separate board so this could be easily moved around if ever needed. This turned out to be a beautiful accent piece! 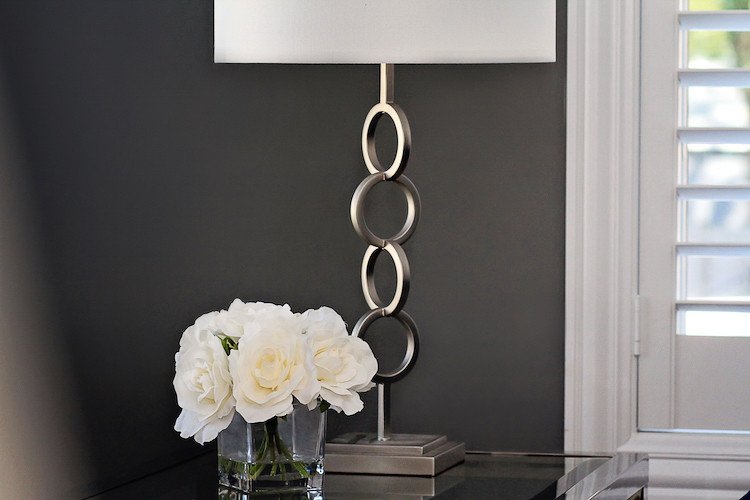 I love sourcing light fixtures for clients and I was lucky enough to select this stunning chandelier for the family room (from one of my favorite places – details on that coming soon!). 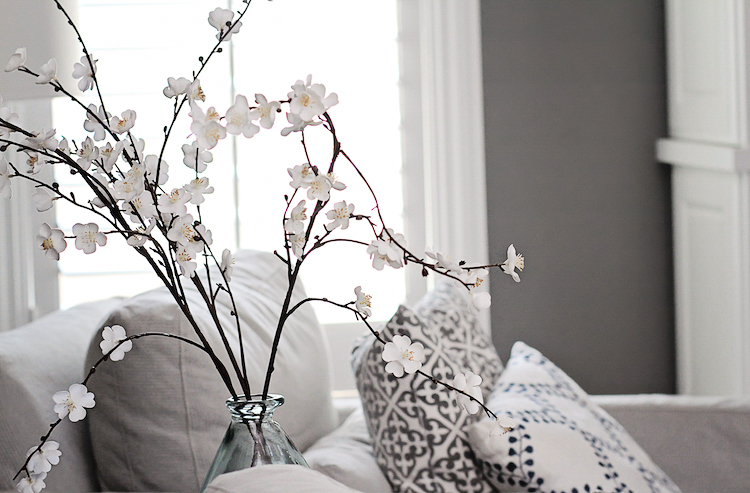 One of the first questions I ask my clients when we meet is “how many people should this space comfortably sit?”. This can be so tricky for families who all want the best seat in the house for watching movies, hanging out, etc. Here, I tried to make every seat the best seat. The sofa is called the “cloud” sofa for a reason. You sink right into it! The 2 gray swivel chairs are very comfortable and deep as well. We had the tufted wingback chair custom made by a local company in Geneva. I love how the pattern turned out! This is definitely the most beautiful chair in the room (and also happens to be comfortable). 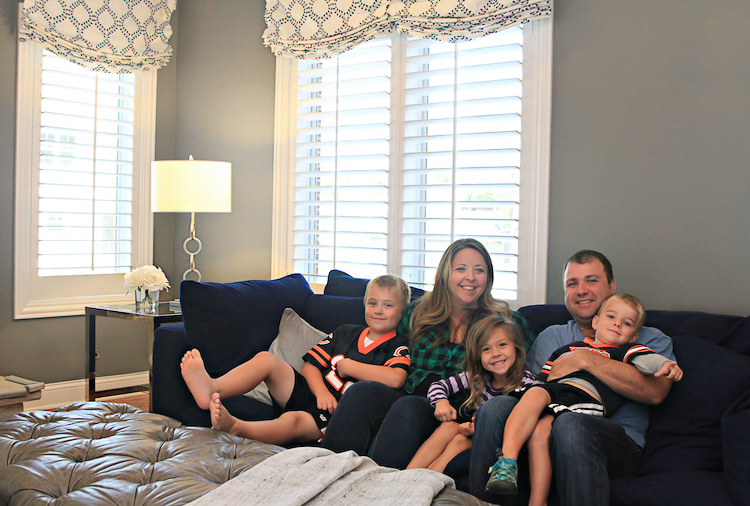 And my favorite shot of all…… seeing everyone enjoying their new family room! Thanks for reading and thank you again Lauren for all the wonderful photos! Incredible transformation Samantha! 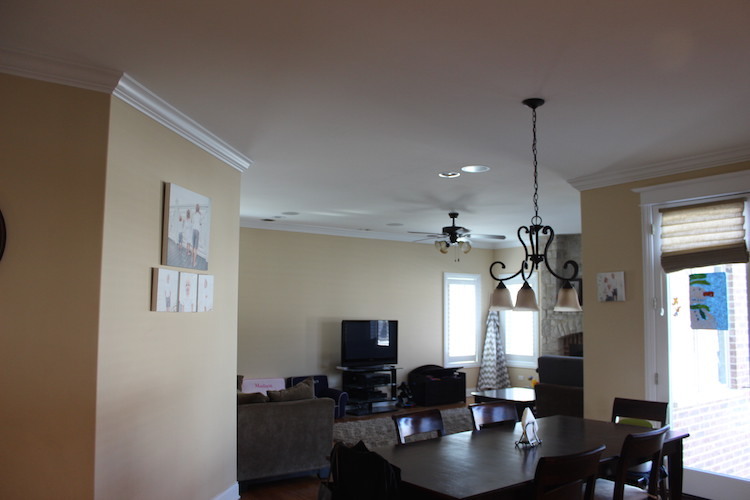 You did a really great job and thought of so many details that really show off the space. You should be very proud! Beautiful! 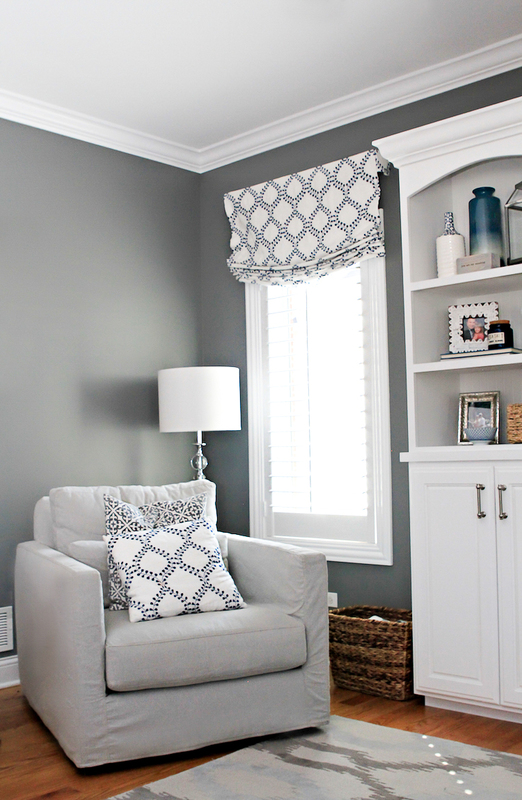 I love how paint and light colors can transform a room! You did an amazing job! AMAZING!! Beautiful room. 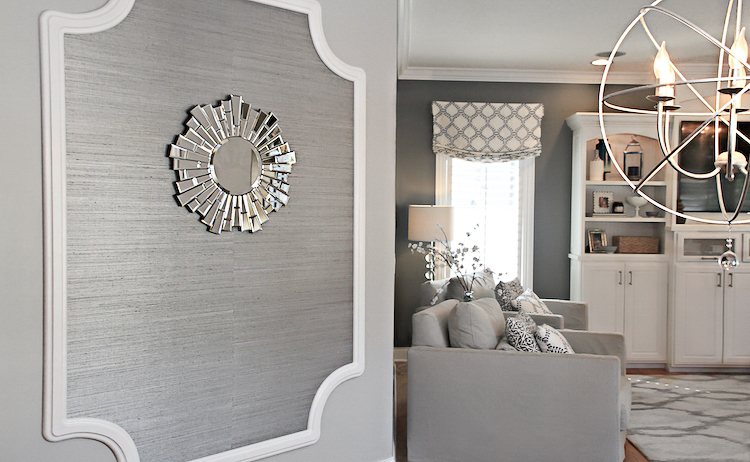 I love the accent wall with the grasscloth. It looks perfect on the wall but even better knowing that it could be moved – how clever! Thank you! I love how the grasscloth piece turned out and hope to create another one soon! 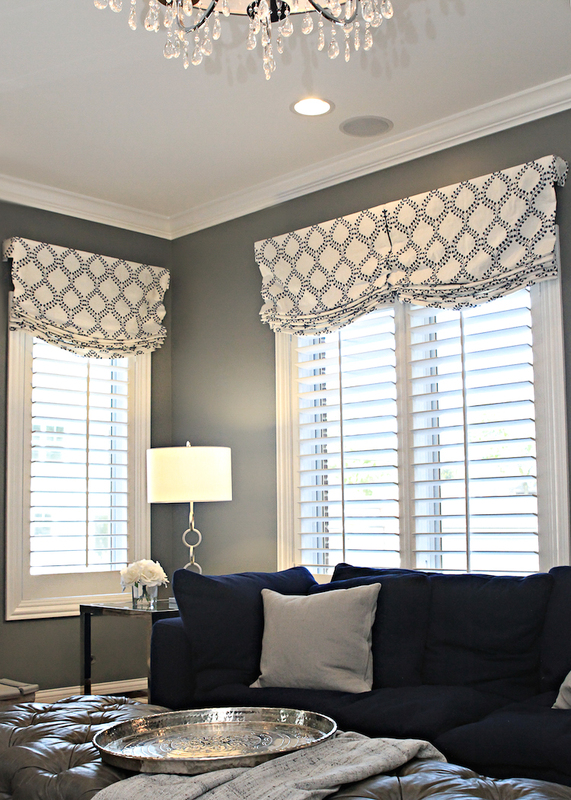 Where did you find the window treatments? 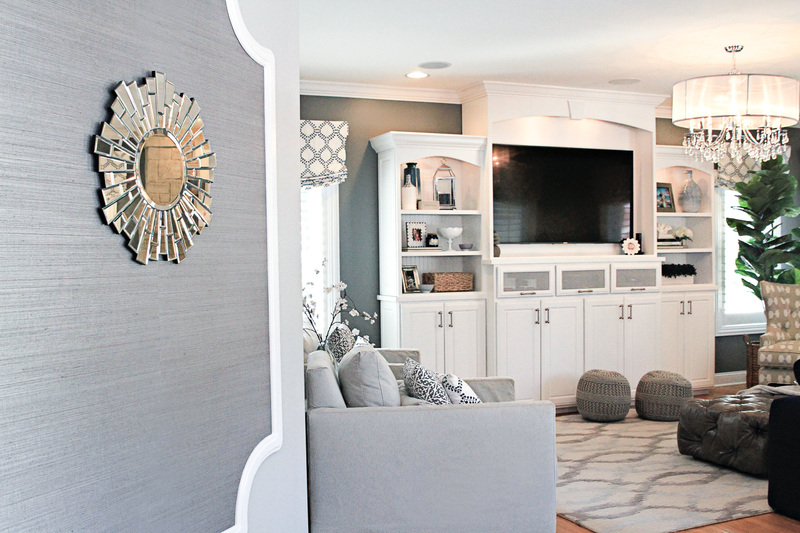 I love everything about this room ! Could you share the paint color ? This is just fabulous !